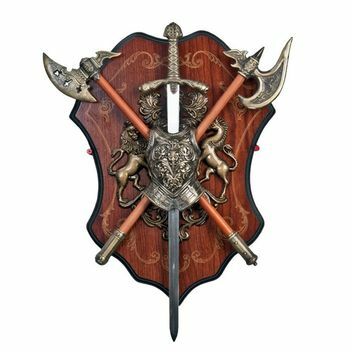 This miniature sword and ax plaque is a stylish wall mount which features a decorative breast plate, a sword and two axes. The two axes have different designs. 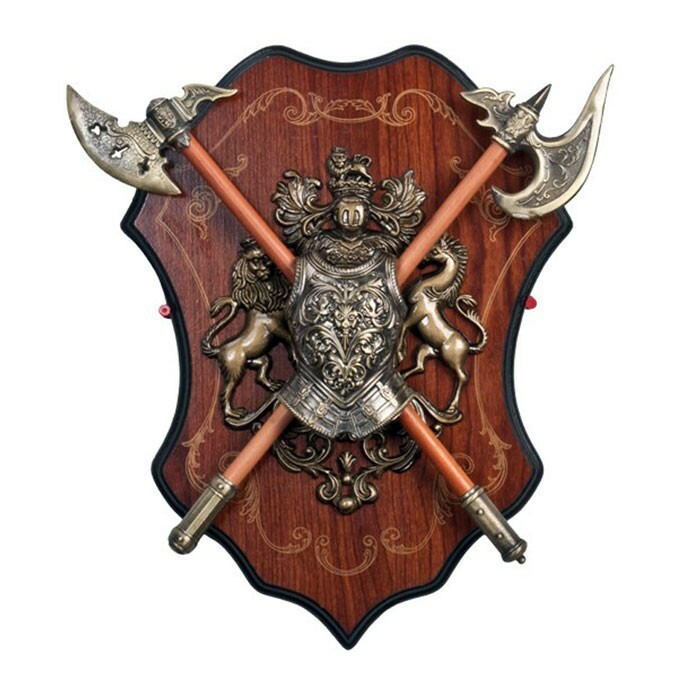 The plaque is adorned with a decorative prancing lion and prancing horse relief with a knight in the middle. 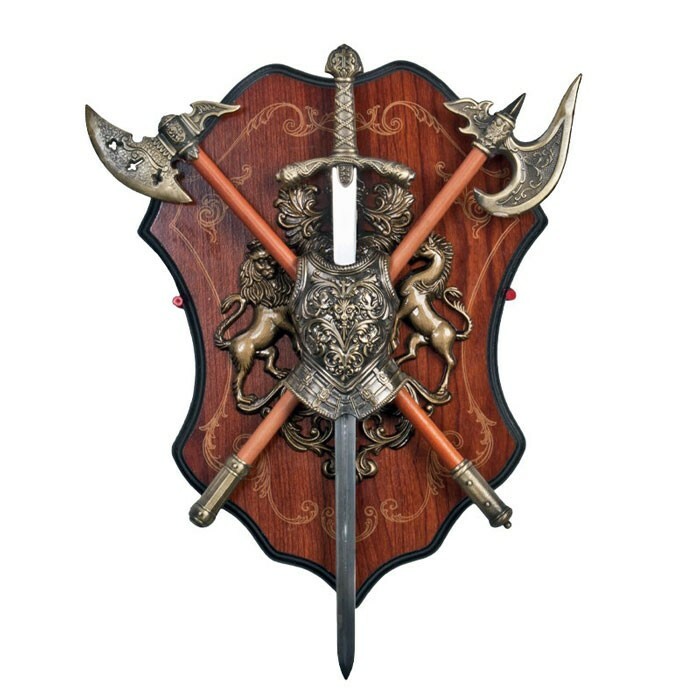 The miniature sword is removable from the plaque.